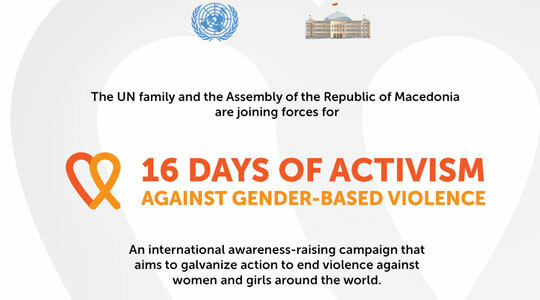 The Friedrich Ebert Foundation Office in Skopje organizes Saturday evening a fashion show within the campaign '16 Days of Activism Against Gender-Based Violence'. Common women, admired for their courage, outstanding achievements, noble qualities, will showcase fashion designs and promote measures against women, family violence. Judge Lence Ristovska, Helsinki Committee Executive Uranija Pirovska and UN Resident Representative to Macedonia Louisa Vinton will deliver speeches at the event.